SLA – https://www.scottishlifesciencesassociation.org.uk/ – The Scottish Lifesciences Association is the voice of Scotland’s vibrant life sciences industries to investors, NHSScotland, the Scottish and UK Governments, and the wider community. We are member driven through 14 Special Interest Groups and 4 sub-groups. We deliver on every aspect of members’ businesses, helping each other to attract investment and increase business activity, and engaging with the NHS and Government to grow the life sciences sector in Scotland. Since 2016, IHIF and the Scottish Lifesciences Association (SLA) have been working together to help our member companies explore and expand to each other’s markets. Benenox – https://www.benenox.com/ – While you sleep you may think your body is resting, but in fact your brain is very active and requires a constant supply of energy during the night. Benenox Overnight Recharge, when taken before bed, supplements your body’s stored energy levels to support good quality sleep. Seeking: Contract manufacturing (liquid formulation) partner and pharmacy distribution. 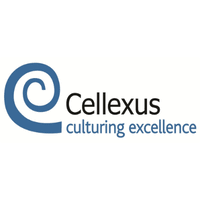 Cellexus – http://www.cellexus.com/ – Cellexus was established in 2008, to develop a scalable single use bioreactor (SUB) for industrial and academic scientists to grow cell cultures in their laboratories, rapidly and in a controlled environment, for use in a wide range of applications including life sciences, brewing, biopharmaceutical and agricultural feed. Cohesion – http://www.cohesionmedical.com – COHESION® is an award-winning Digital Health company and solutions provider to NHS Scotland. Our open interoperable technologies connect our wearable sensors, go-anywhere Digital Health Wallet and cloud-based Integrated Clinical Care platform with our real-time data analytics for population health modelling and precision medicine insights. COHESION® has recently won two Innovate UK Innovation Awards for its Cancer Early Detection And Risk (CEDAR) system and its big data-driven Precision Medicine Platform for Inflammatory Diseases. Our solutions improve patient experience, healthcare efficiency and intervention efficacy while accelerating research understanding and new medicines discovery. Seeking: Connections with specialty clinical practices/hospitals and life sciences interest in data-driven research solutions. Compliance Path – http://www.compliancepath.com/ – CompliancePath provides IT Regulatory Consulting services to Pharmaceutical, Biotech and Medical Device firms who are required to comply with: US 21 CFR Part 11 Electronic Record and Signatures, US & EU GMP Regulations, and the newly revised Eudralex Vol 4. Annex 11. We specialize in Risk Based Validation, utilizing industry guidance’s such as ISPE‟s GAMP 5 and PICS PI 011-3 Good Practices for Computerized Systems in Regulated “GXP”. Seeking: Clients in need of regulatory compliance software solutions. Entrust People Ltd.– https://www.entrustpeople.co.uk/ – Recruitment agency specializing in life sciences and scientific roles. Seeking: Partnerships with life science specific staffing firms. Fios Genomics – https://www.fiosgenomics.com – Fios Genomics is a provider of an extensive range of bioinformatic data analysis services to Pharma, CROs and academia for drug discovery & development and applied research across all species. Seeking: Clients in need of multi-omics analytics capabilities. 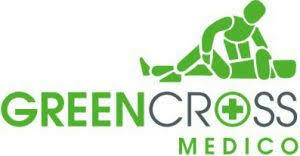 Green Cross Medico – http://www.greencrossmedico.com/ – Green Cross Medico Ltd is a medical innovations company currently working in conjunction with NHS Innovations South East, West Midlands Academic Health Science Network, and NHS Innovations West Midlands. The company has two devices – the “Air Glove” patient warming system for blood draw and the Secure 2-part IV Cannula Dressing.